People who saw me printing at the (Ultimaker 2+ extended ) machine all want to know the name of this material. Since I had done research on metal filaments, proto-pasta iron filled, inox, bronze, copper etc, and watched many videos of various testers on youtube. The Bronze PLA unlike what some tester says that it has no metal in it due to its light weight, the manufacturers does indicate that it has bronze dust in it. 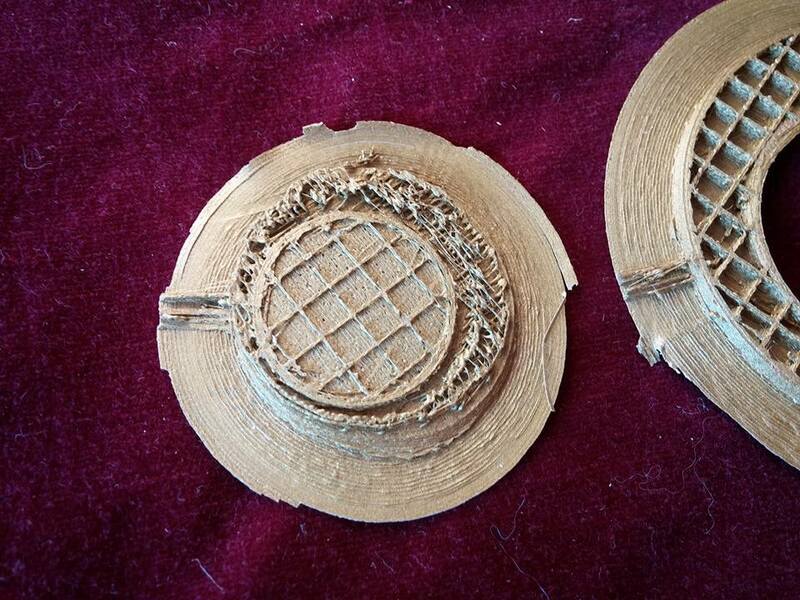 And from looking at the behavior of the filament and its deposited print, I do think it has metal in it. So I test printed the material, because of various factors. #1, I am testing this at faclab Cergy Pontoise, and they are very kind to let me use their machines. #2, Manufacture notice (somewhere online) I only saw it once, on some page, that it is recommended to print up to 3hr at a time. #3, after your print, you pass a « cleaning filament » to clear out all leftover bronze dust that might accumulate from the print. So i checked out what is a « cleaning filament »? It is a large range filament that can stand from low heat to high heat without burning – so it flushes out the traces of the previous filament, and your colors will be purely the next filament. You pass a few cm of cleaning filament. So in fact, if you pass the new filament through until you see totally clean colors, it means, all the dust has gone. So that is what I will do. Rule 2: pass new filament for a bit to clear out bronze dust filled filament before starting your new non bronze filled filament. Here, we have a print with colorfabb olympic gold PLA, see the brim? The dark edge? It has small traces of the bronze dust residual in the nozzle and was cleared out. #4, outcome, looks fabulous, and if it were really bronze filled dust – then it is a kind of bronze. Though we dont know how much bronze is in the material – in the final print. But it looks great and no « finishes » fussing afterwards. Back side of star, printed at 210 C, see the center of the star, filament melted together in one sheet – a slushy blobby consistency, temperature too hot? Filament too liquid. The fatter star behind, printed at 193 C, gd, drier consistency. There seems to be a few holes on the surface of the star, this could be inconsistancy of the filament itself. ie. water bubble in the filament. Or, the file? To know for sure, I have to print it out at a larger scale and see if holes appear at the same spot. 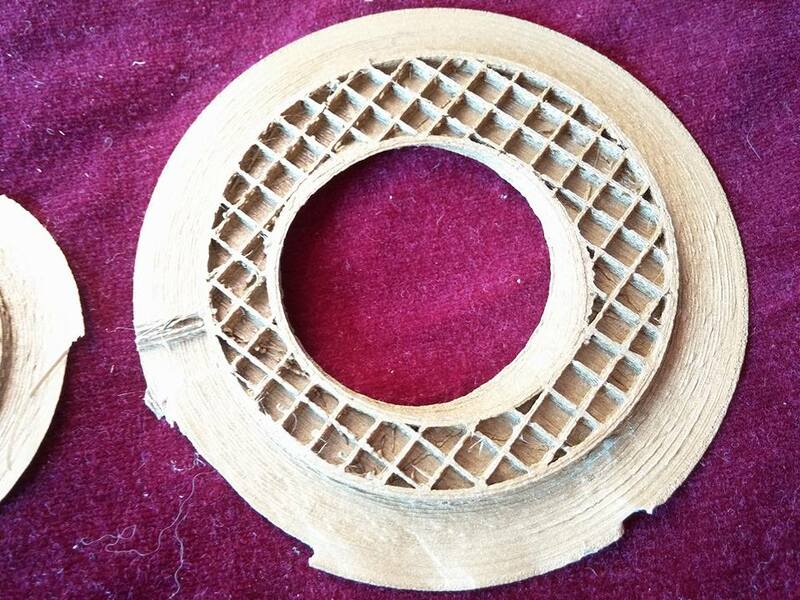 « Round thread nut and screw » used as print test. File from thingiverse. Nut and Screw adjusted to be printed for 35mm dia. Temperature 210 C, splashy, very liquid. Could be interesting for specific effects, ie.melting effects. Not suitable for a screw and nut intended for normal use. Not enough precision. ebronze filled esun filament, printed at 193 C, out put texture consistency I like. This is the brim, back side of the star pod.